The poem reminds us to look at situations but also at ourselves from different perspectives. Nothing can ever be simply black or white. What do we really think that we are? What are the traits that define us? Successes or failures, joy or sorrow, generosity or selfishness? Our real value lies beyond all these and it's up to us to decide. 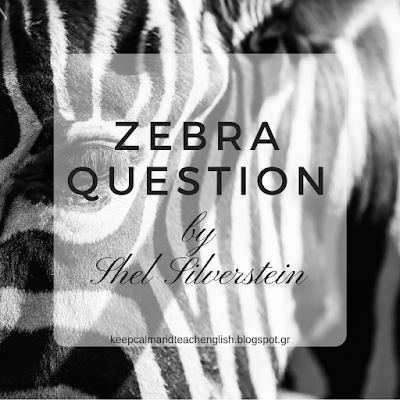 The poem's repetitive feature of asking questions using opposites makes it relevant in the EFL classroom. Some ideas on how to use poems in the classroom can be found in one of my older posts on a poem by Maya Angelou and on teachingenglish.org.